Have you experienced the frustration of trying over and over to light the fire pit and finally concluded that the igniter isn't working? If your spark igniter has failed, replace it with this item that will get your fire pit back to easy operation in no time. The spark igniter has a screw that keeps the unit in place and requires just 1 AA battery. A sealed battery chamber makes battery replacement easy. 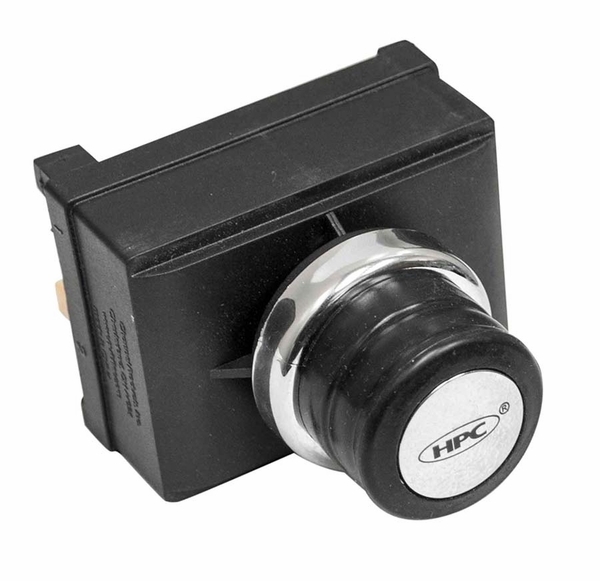 This igniter is compatible with Hearth Products Controls FPPK series fire pit inserts. Can this light a natural gas fire pit? This spark ignitor is intended for exactly that purpose. The manufacturer uses it with several of their prefab firepit burner systems. A spark electrode will be needed as well. The part is the Hearth Products Controls Replacement Spark Electrode. The salesman was very helpful, patient and knowledgeable. When I buy something, it's not necessarily for the best price; it's mainly for the customer service.